I am a big tea drinker, and because I drink so much of it, I am always looking for new kinds to try. 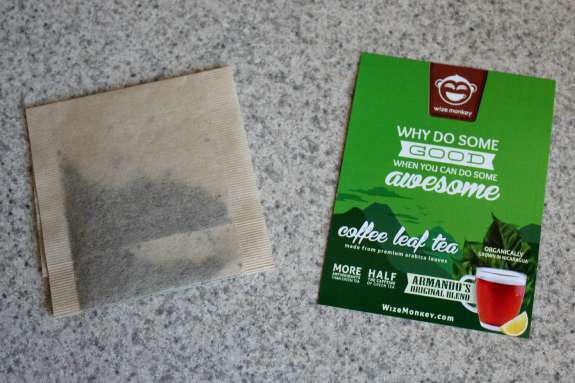 I was really interested to try Wize Monkey tea, which is made from coffee leaves, which is unlike any tea I have tried before. This tea is made by drying premium arabica leaves. Such an interesting concept! These leaves are harvested in Nicaragua year-round, which helps local farmers have a more steady income, as coffee beans can only be harvested 3 months of the year. Wize Monkey places a lot of importance on their workers – “We pride ourselves on having very high standards of working conditions and compensation.” You can even check out interviews with their farmers on their website. 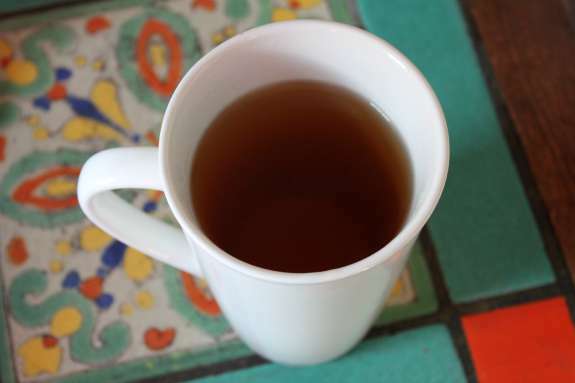 I love green tea, and this coffee leaf tea is a great alternative. It has a really rich flavor, lots of antioxidants, and a small amount of caffeine. Independent testing has proven that coffee leaf tea has more antioxidants than green tea, yet it only contains 12mg of caffeine per serving (same as a decaf coffee). You steep this just like regular tea. 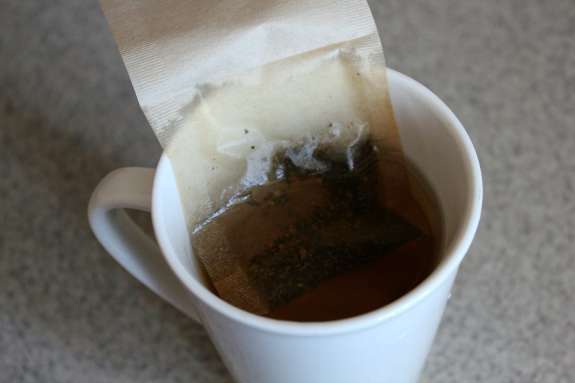 The tea steeps in 3-4 minutes, and I compost the tea bag when I’m done. I love the flavor of this tea, which has a rich, almost roasted taste. The taste is unlike any teas I have had, with an earthy taste. I don’t add anything to it (no sugar), and it is enjoyable at any meal or in between. This tea has no additives and no questionable ingredients – just 100% Arabica coffee leaves. It is an enjoyable tea for any time of day and I like the flavor and the health benefits. Overall, this is such a unique concept for tea, and I have really been enjoying it. I am excited for their new flavors to come, including mango and mint! Also check them out on Facebook, Twitter, YouTube, and Instagram. How interesting. I have never heard of it. My teen daughter is a big tea drinker and she loves trying new flavours! Let us know if you have any questions. We’re based in Vancouver BC but sell nationally in US/Canada in stores as well as Amazon Prime and our website. Interesting. I drink green tea and have not heard of this. I’m also an avid green tea drinker when I don’t drink Coffee Leaf Tea (I founded Wize Monkey) and I find that the caffeine level is similar but it much smoother and easier to use in regards to steep time and temperature etc. It never gets bitter and can be resteeped a couple times, too. In terms of antioxidants, it’s actually equal in total ORAC value, so you’re also getting great health benefits. I love tea too and this is one I have never tried! Love the idea to use coffee. We have lots of tasty options to test out. You can find it on Amazon Prime as well as our website, and select grocery stores in Canada and USA (store list on our website). I love the sound of this. Never heard of it before but I’m curious to try it! You will find that it’s very smooth and easy to steep (no time limit). It also boasts rare health compounds only found in the coffee leaf. 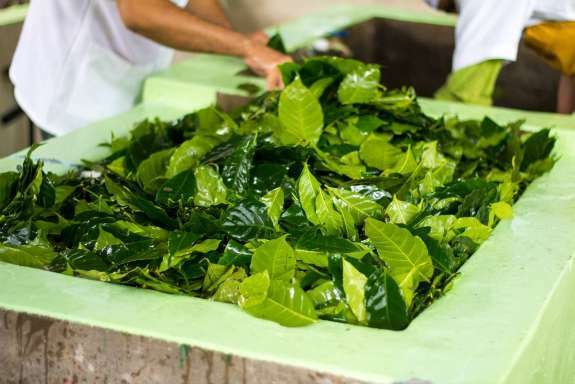 If you google coffee leaf yea, you’ll see lots of articles about it. 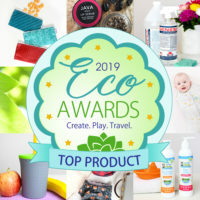 You can find it on Amazon Prime as well as our website, and select grocery stores in Canada and USA (store list on our website). Tea made from coffee leaves, what a great concept. I love coffee, I wonder is I’d also like this. Sou ds like it has hints of the same flavors as coffee. I’ll be checking this out for sure!